At 36″ square, I think it’s going to need a border. Then on to quilting. Speaking of which, I took a few minutes before my last piecing session to practice my FMQ as part of the #FMQPracticeParty (check us out on Instagram!). Wavy lines, all types! Wobbles and all. This is what it’s about, people. Just practice. Try new shapes. Learn about yourself and your machine. 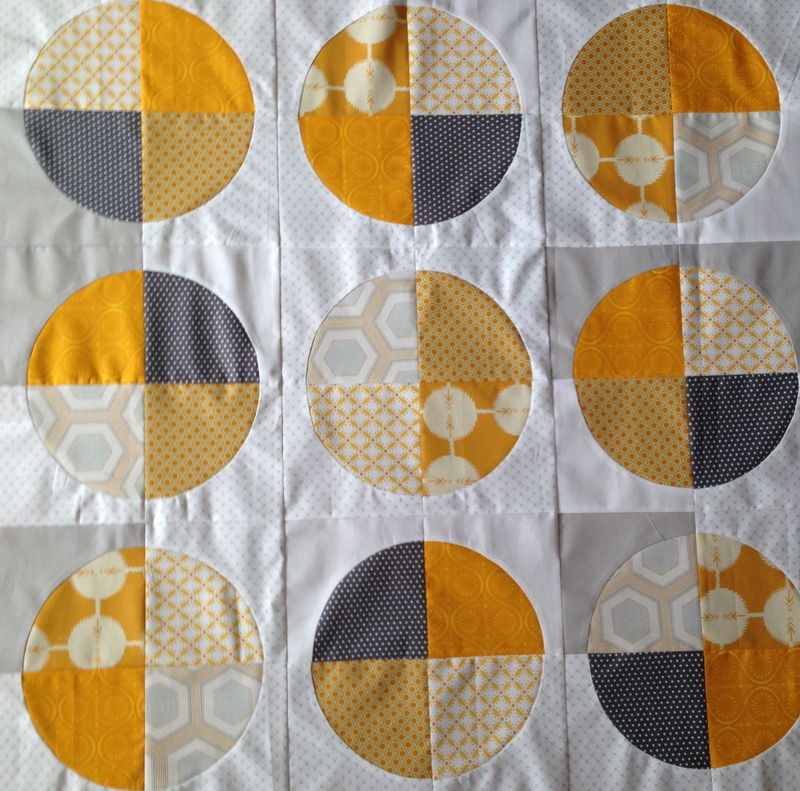 Any suggestions for quilting the circles? Whoops! Almost forgot to link up with Freshly Pieced! Happy WIP Wednesday. I love the colors, too! Your circles look fantastic! I’m going to chime in too on those lovely colors. 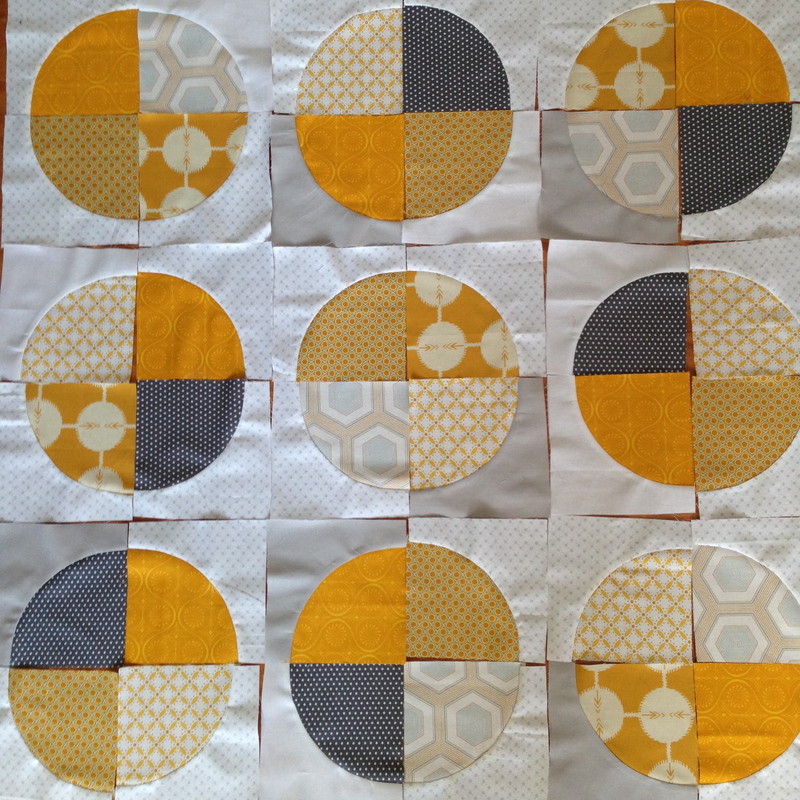 Congrats on tackling a circle quilt. 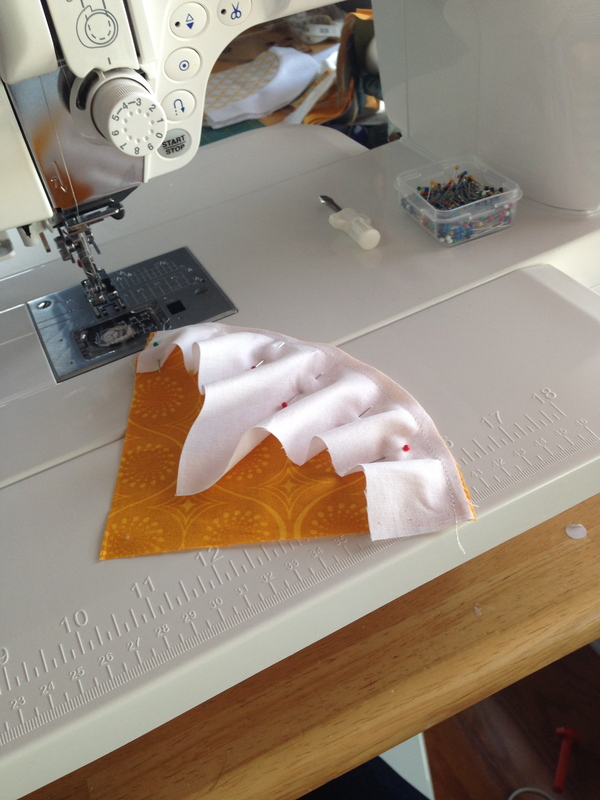 You are so brave to tackle those curved pieces, and you really nailed them. I love the colors you chose with the warm mustards in the front and subtle low-volumes in the back. 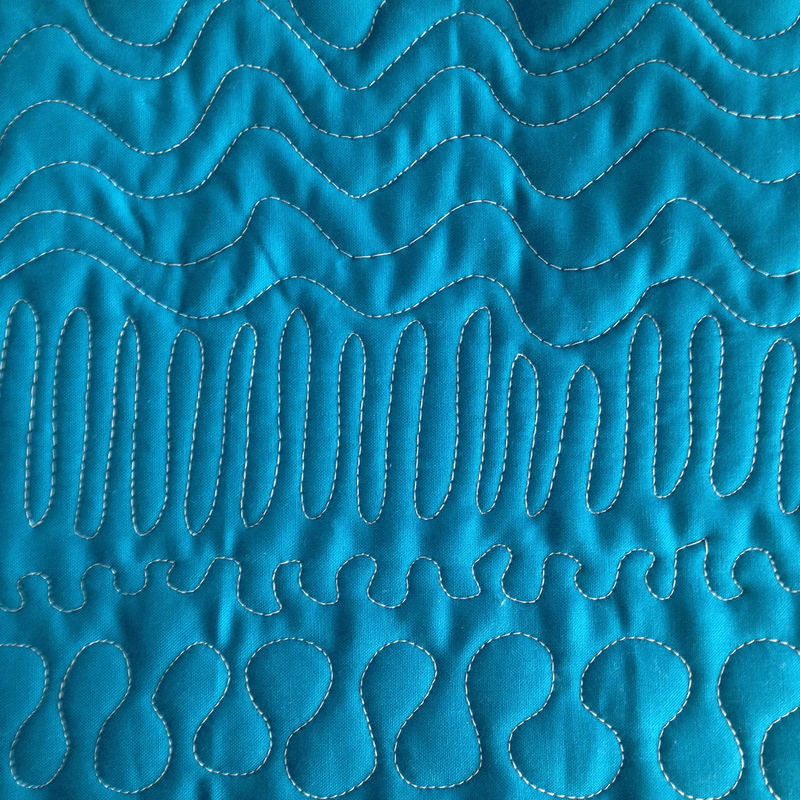 Maybe I’ll bring some curves to our quilt meeting for you to teach me this skill! Love the curves! I’m too chicken to try but yours look great. I’m digging the gold and grey too! Gorgeous top, I have to admit, that I love sewing curves! Well done!!! I love this! Especially the quilting. Very organic.